It is no secret that the 1950s and 60s produced some of the best design. Technology enabled designers to experiment like never before. The result? Some of the most uniquely interesting design techniques the world has ever seen. Today, designers often incorporate midcentury modern elements into homes in order to give them a quirky and elegant spin. When included in the kitchen, mid century modern themes provide a sense of organization, style & personality. If you are looking to capture some of that mid century charm, we will show you the tips and tricks to transform your space. 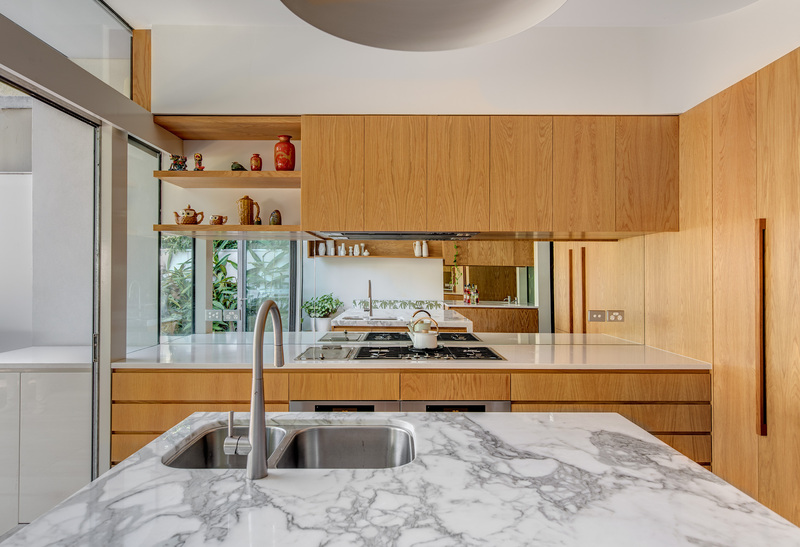 Working with a network of design professionals, this article walks you through the process for transforming your kitchen. For over 50 years, mid century modern design has been a popular and reliable choice for home decorators. Like all things related to design, however, its important to remember that styles and tastes change over time. This is an important point. Remember, one day you may want to sell your home, so err on the side on subtlety to avoid narrowing that pool of buyers too much. Mid century modern design is about efficiency. As a result, many of its practitioners took to tearing down unnecessary walls in order to maximize the amount of space in a room. As a result, mid century modern is a perfect design style for those with small apartments. It often allows its users to have a high-quality kitchen and dining area without sacrificing space. Also, you may want to consider the benefits of tearing down the walls that divide your kitchen from the rooms around it. Walls take up space and create visual barriers, so less is certainly more when it comes to space and open area. Much of the furniture found in midcentury modern kitchens has more than one use. A counter, for example, may also function as a cabinet, a series of shelves and a table. It is no surprise the the “center island” concept we see in many mid century modern kitchens today comes from the midcentury modern movement. A classic example is when mid century modern kitchens include tables and chairs within them. This enables those with small apartments to have both a sleekly designed kitchen and a place to eat. This “multipurpose” design allows homeowners to consolidate their belongings in one spot, which maximizes space and reduces clutter elsewhere. Another example of multiple purpose furniture is open shelving. Having open shelf space allows for both storage of household items — like dishes — and also decorative objects — like plants and ceramics. Even more, have open shelves makes it harder to clutter your cabinets, as you are always reminded of is on your shelves at any moment. In the photo below, the shelves built above this counter give the homeowner plenty of space to store bowls and other vessels. With all of the storage above the counter, the rest of the room remains free of clutter. Many love the muted color schemes of mid century modern design. Mid century designers, after all, were influenced by the natural world, aiming reflect the serenity of nature. What’s more, kitchens are perfect for pastels and earth tones, two types of colors that are frequently used in mid century modern design. Specifically, when there are windows in the kitchen, midcentury modern design pairs perfectly with the organic shapes seen in the window outside. Last, flowers in handmade pots look fantastic in mid century modern kitchens. The organic shapes often pair well with the slick geometry of midcentury furniture and appliances. Perhaps the best known tenet of mid century design is to use natural materials. (You can read all about it here.) All the experts we talked with for this article mentioned this point, and it’s a simple and timeless way to give your space a mid century vibe.